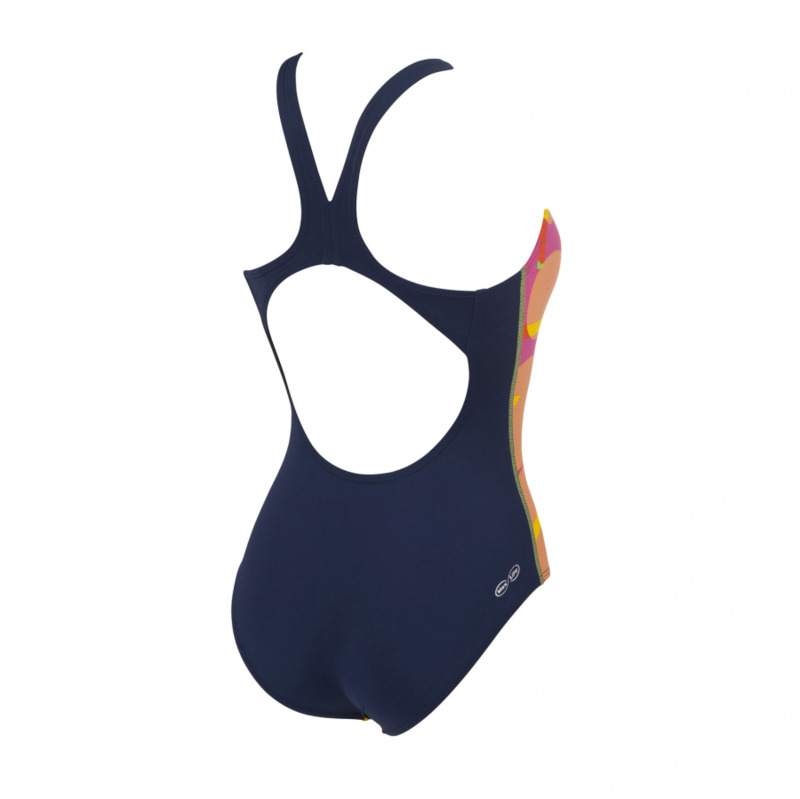 The Arena ‘Following’ ladies swimsuit in navy blue features a bold multicoloured front pattern. 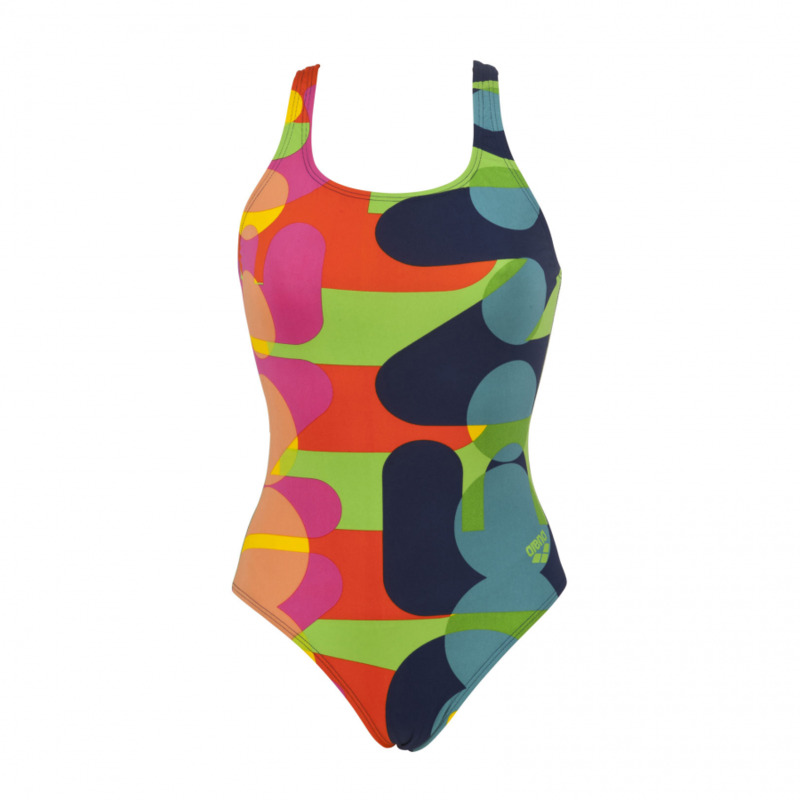 It is manufactured from Max Life material which is 54% polyester and 46%PBT. This material is designed to provide long lasting comfort and performance, with extraordinary resistance to chlorine. 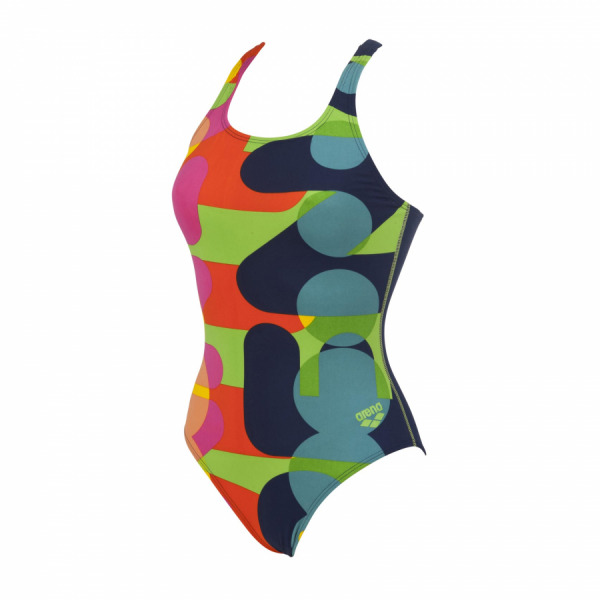 The fabric moulds to body allowing freedom of movement whilst resisting abrasion and pilling. Max Life is also smooth to touch and excellent UV protection.